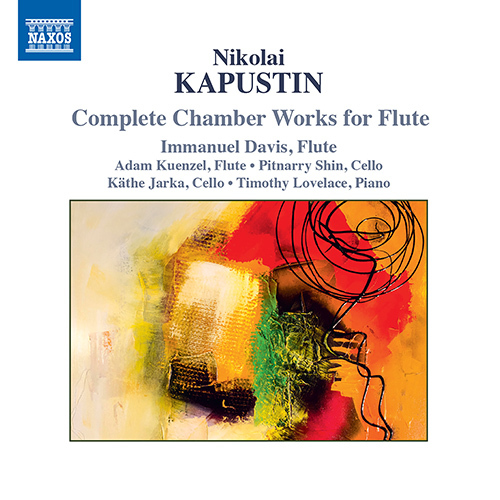 Nikolai Kapustin’s music is renowned in contemporary circles for its witty and seamless fusion of jazz idioms and formal classical structures. In recent years, the composer has forged a formidable association with American flautist Immanuel Davis, who here interprets his highly sophisticatedÂ FluteSonata, Op. 125Â with great virtuosity.Â DivertissementÂ explores the different jazz harmonies available from the four instruments, contrasting with the textural transparency ofÂ A Little Duo.